Lock in a great price for Hotel Allegro Bern – rated 8.8 by recent guests! Nice location, close to Bern railway station, comfortable, very professional personnel, good food. Exceptional Bern old town is in a short walking distance. I am a frequent traveler and stayed in major 5 star hotels. Allegro Bern i consider it one of the best hotels in Europe, room size, cleanliness, staff friendly and provide assistance. Location was best just crossing the bridge by foot to the old town. Parking available, we had a beautiful time at The hotel. The staff made the stay quite lovely!!!! Everything was clean, and the proximity to the city was perfect, along with the free transportation out front! The bartender from the Caribbean was so great, and made the stay fabulous when we would settle in for a nightcap. Extremely good location, just outside the city centre and old town, tram station right at the door step. Very professional and nice staff, even provided me a free room upgrade. Guests get complimentary entry and drink at the casino. Check in was speedy fast and elegant. Hotel cleanliness Great breakfast. Hotel Allegro Bern This rating is a reflection of how the property compares to the industry standard when it comes to price, facilities and services available. It's based on a self-evaluation by the property. Use this rating to help choose your stay! Located in the center of Bern, with an exceptional view of the medieval Old Town and the impressive Alps, the 4-star superior Hotel Allegro Bern features a casino, 3 restaurants, 1 bar and 3 terraces. Free WiFi is available. All rooms at the Hotel Allegro are of distinctive design and décor, and many offer panoramic views of Bern and the distant Alps. The Gourmet Restaurant Meridiano is located on the 6th floor and specializes in authentic European cuisine made from the finest natural ingredients. The Chef is Fabian Raffeiner, whose culinary creations have earned 16 Gault Millau Points. The Meridiano also features a Michelin star. At the Restaurant Yù you will get over 30 Asian gourment specialties at the popular Asian Dream Buffet, while the Restaurant Giardino offers fine Italian cuisine. The Allegro bar offers fine drinks and, in summer, a stylish lounge area with views of the pond. A smoker's lounge is also available. Guests have free access to the fitness center with cardio machines. Massages can be organized on request and for a surcharge. At a surcharge, guests can rent bicycles. Underground parking is available for a surcharge. The Bern-Wankdorf motorway exit is 1.2 mi away, and the main train station is 5 minutes away on tram line 9, stopping directly in front of the hotel. Guests benefit from free public transport in Bern. When would you like to stay at Hotel Allegro Bern? These rooms are located in the interior of the hotel and are either furnished in an Asian style or in a Broadway style. They offer views to the atrium lobby of the hotel and do not provide direct daylight. The air-conditioned rooms offer free WiFi, a mini-bar, a safety deposit box and a bathroom with a bathtub or a shower. 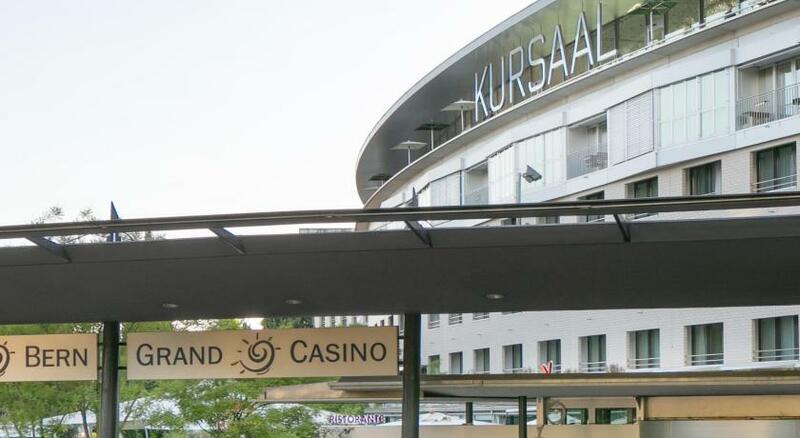 The rate includes free use of the fitness center and free entrance to Casino Bern. Private parking is available on site (reservation is not needed) and costs CHF 26 per day. South-facing rooms with views to the hotel's garden. These south-facing rooms on the fourth floor offer panoramic views over the Old Town of Bern and the Bernese Alps. The modern amenities include a B&O sound system, and a Nespresso coffee machine. This spacious suite is located on the top floor and features a terrace with city view, satellite TV, a sound system, an iPod docking station and a Nespresso coffee machine. Newspapers and magazines are provided daily. Guests have free access to the Penthouse lounge with 24/7 free refreshments, fruits and small snacks. Located on the 4th floor, this air-conditioned room has a south-facing balcony offering views of Bern's historic Old Town and 2 beds. Equipment includes a sound system, and a Nespresso coffee machine. Extra beds or cots, as well as toys for children, are available on request. 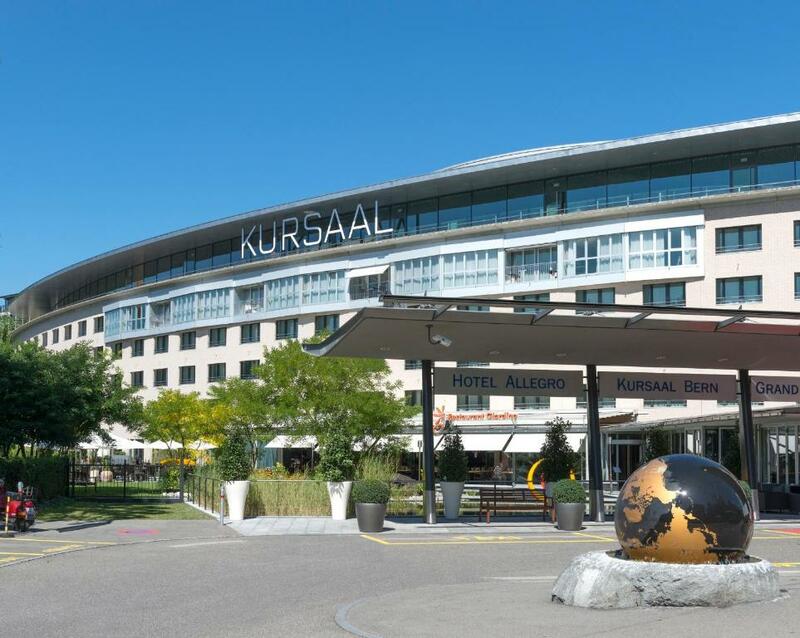 The Kursaal Bern is an all-in-one enterprise comprising a state-of-the-art congress center,4-star superior Lifestyle Hotel Allegro, 3 in-house restaurants and bars, exhibitions, trade fairs, external events and a Casino. Hotel surroundings – This neighborhood is a great choice for travelers interested in friendly locals, convenient public transportation and city trips – Check location Excellent location – show map Guests loved walking around the neighborhood! House Rules Hotel Allegro Bern takes special requests – add in the next step! Hotel Allegro Bern accepts these cards and reserves the right to temporarily hold an amount prior to arrival. Please note that on the day of arrival, the booking confirmation is also valid as a public transport ticket (including transfer from Bern Airport). Please note that from August 2019 until April 2020 the hotel rooms will be refurbished, one by one. This might lead to noise disturbances from Monday until Friday between 08:00 and 18:00. During this period the bar, the restaurant, the meeting rooms and the casino will be open as usual. The bed was not comfortable. Mattress thickness and quality need to upgrade for best comfort. Hotel provided free pass for public transportation which is good for traveller. Tram and bus stop are just infront of hotel. Clean and spacious for my room stay. Very near and walking distance to all tourist attraction at Unesco City Of Bern. The penthouse suite was amazing! Loved the access to the lounge. location vs city centre. walking distance. views. We liked everything. It’s clean. The location is near the centrum of Bern. The food in the hotel was good. The staff was really nice. Really recommended ! Very nice various restaurants in the hotel. Tram 9 maybe the best, just in front of the hotel it takes in minutes to old town and central station. Friendly,helpful staff Excellent breakfast Convenient to bus transport.